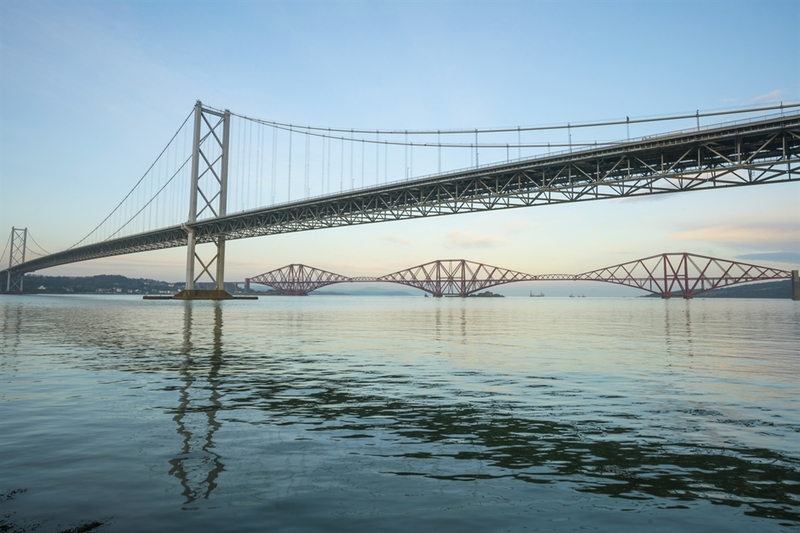 The three Forth Bridges are an impressive sight as they across the Firth of Forth, as well as providing transport links between Edinburgh and Fife. 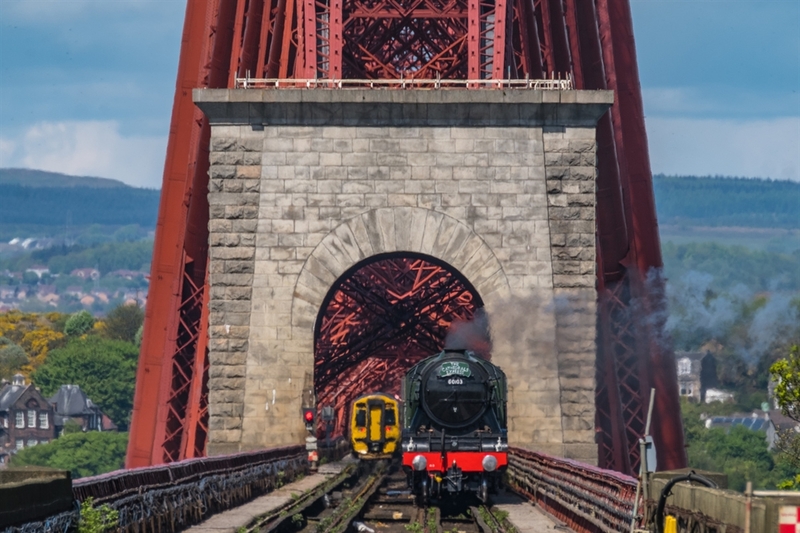 The Forth Bridge is one of Scotland’s major landmarks, and is a UNESCO World Heritage Site.This magnificent railway bridge was built between 1883 and 1890 by Sir John Fowler, Benjamin Baker and over 4,500 men. Considered to be an impressive feat in engineering, it was designed on the cantilever principle, and its three towers are over 100 metres high. 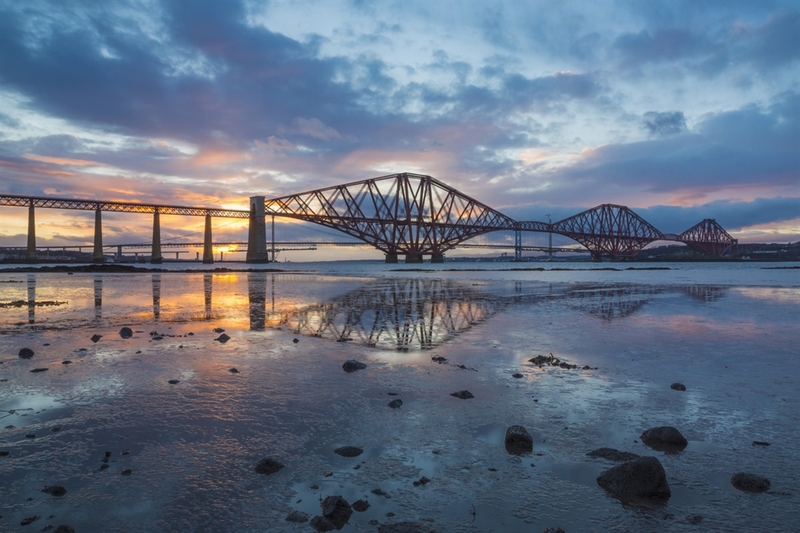 It stretches 2.5 kilometres between the villages of South Queensferry and North Queensferry, and was opened on 4th March 1890 by Edward, Prince of Wales. Work began on the Forth Road Bridge in 1958 and it was opened by Her Majesty Queen Elizabeth II in 1964. This long-span suspension bridge is 2.5 kilometres in length. Its towers are over 150 metres high and hold 49,280 km of wire in the two cables which take the weight of the suspended deck. Following the opening of Queensferry Crossing, the Forth Road Bridge is now dedicated to public transport, cyclists and walkers. The Queensferry Crossing opened in 2017 and, at a length of 2.7 km, it isbe the longest three-tower, cable-stayed bridge in the world. The bridge is destined to become the main route for vehicles travelling between Edinburgh and Fife. You can learn more about the building of the bridges at Queensferry Museum in South Queensferry. The town was once the main point to board ferries over to Fife and is still a port today, although it’s now used by tour boats destined for the islands of the Forth.